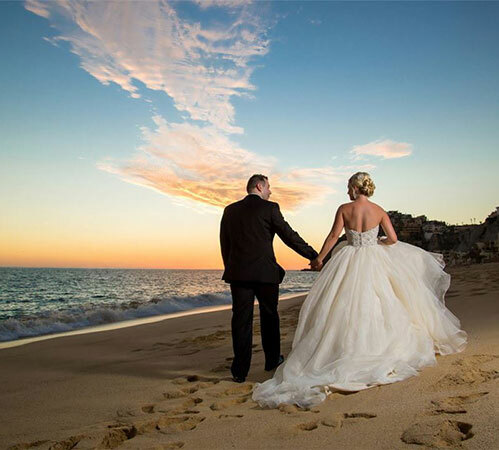 Celebrate one of the best days of your life surrounded by dramatic desert landscapes, endless golden sand beaches and sparkling turquoise water. 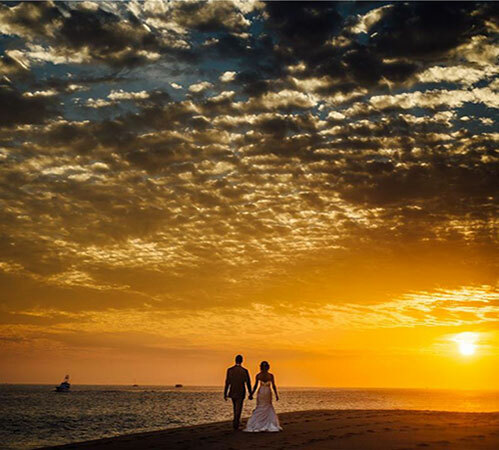 The natural beauty of Baja Sur is complemented by Grand Solmar's unparalleled service and luxurious amenities, making us among the most coveted Los Cabos wedding resorts. 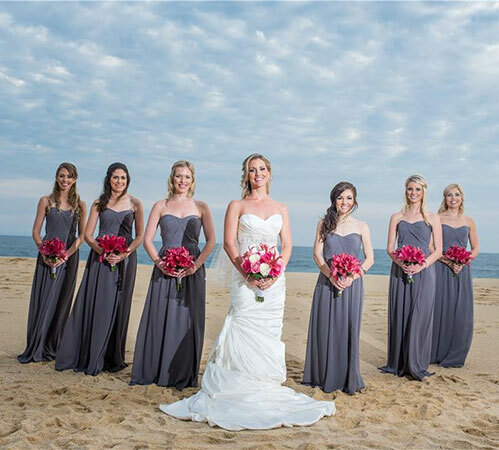 Beautiful venues, hair and makeup services and personalized ceremonies make your special day perfect. Let our distinctive collection of thoughtful wedding packages set you free to be swept away. Services of the Judge (legal) or Minister (symbolic). Seasonal flowers for ceremony (Bouquet or Boutonnieres). One hour of Harpist or Violinist during the ceremony. One hour of Photobooth Service. One Makeup & Hairstyle or One Deluxe Pedicure. One Deluxe Manicure & Pedicure. 20% discount at Spa services (Products not included). Special romantic turndown the wedding night. Ceremony performed by a judge (legal) or minister (symbolic). Speaker & Microphone for ceremony. One Makeup & Hairstyle or One Deluxe Manicure. Couple Relaxing Massages (50 mins) at Dunas Spa. Services of the minister (symbolic). One bottle of sparkling wine for toast after ceremony. One complimentary Ictiotheraphy (Fish Spa 15 minutes) or one manicure. 20% discount on spa services (products not included). For legal weddings, apply $450 USD fee per couple for a blood test and paperwork (does not include apostille). Outside vendor fee - $150.00 USD per vendor. Packages cannot be modified or replaced.